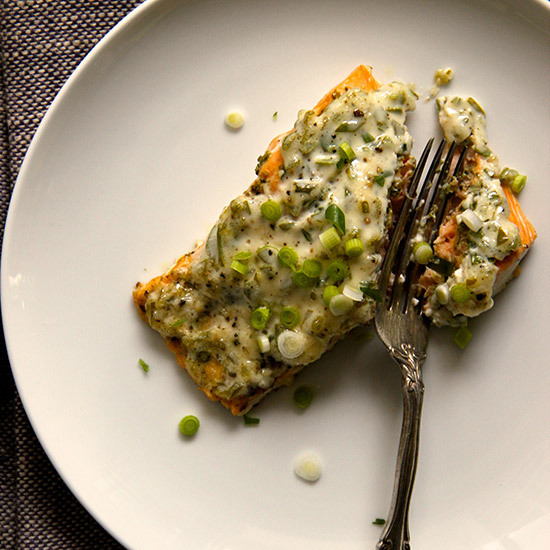 Whether a fan of salmon, branzino, tilapia or sea bass, we've got you covered with these baked fish recipes. 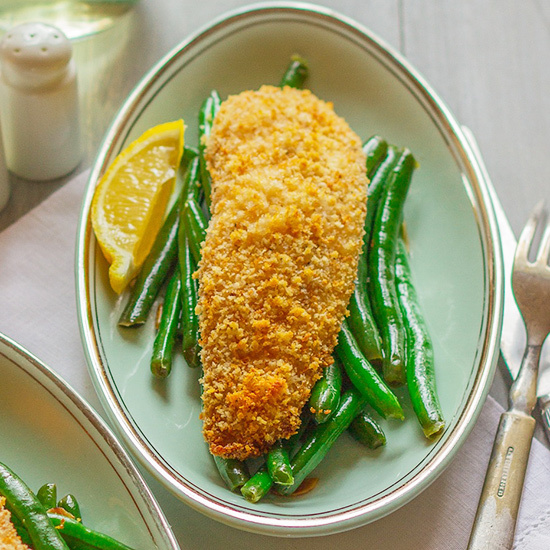 Well-seasoned panko bread crumbs are browned first before coating the tilapia fillets, which adds an extra boost of flavor. Aluminum foil is an easy and always-available alternative to the parchment paper traditionally used for cooking en papillote. 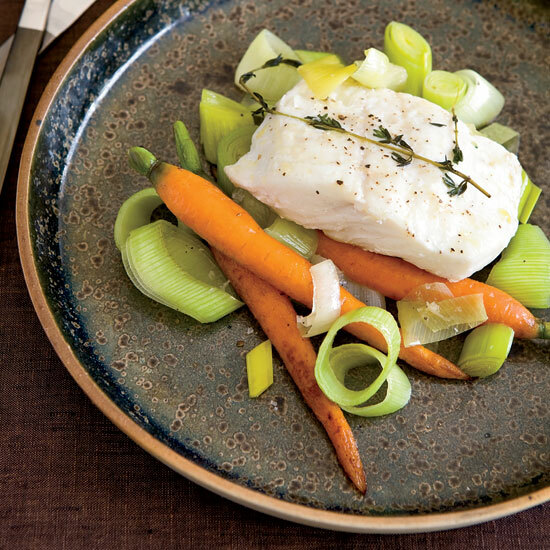 As the fish and vegetables bake in their packets, they render a delicious broth that is then poured over the fish at serving time. 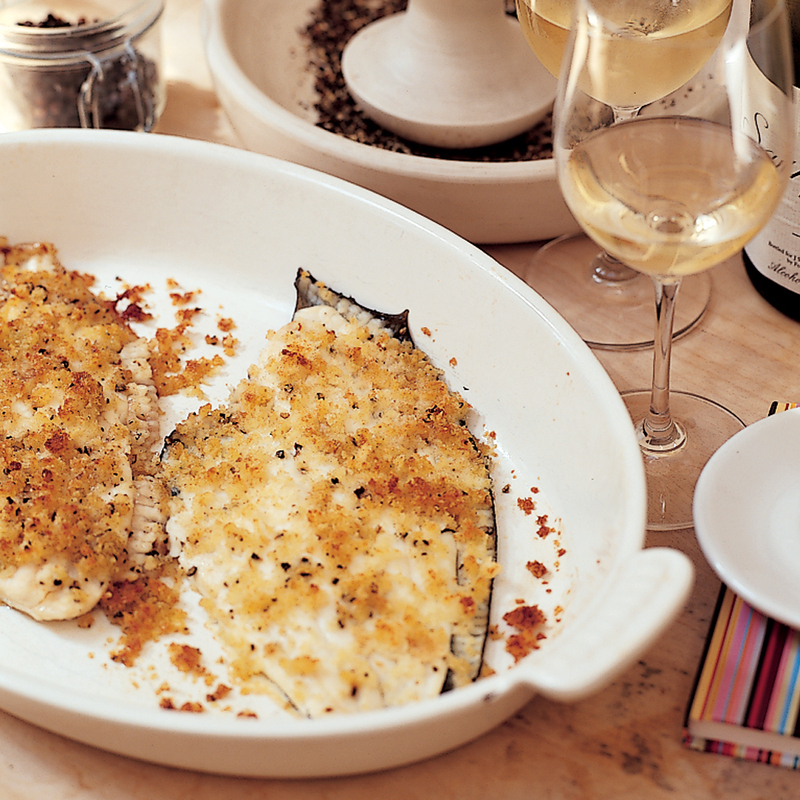 Parmesan and panko give this quick-and-easy tilapia a deliciously crispy crust. Think of this mayonnaise as a fast, refrigerator-ready version of aioli. 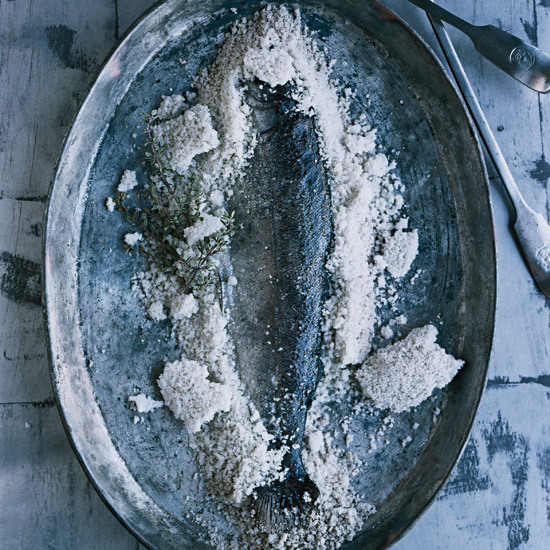 Salt-baking fish seals in moisture and seasons at the same time; be sure to discard the skin. 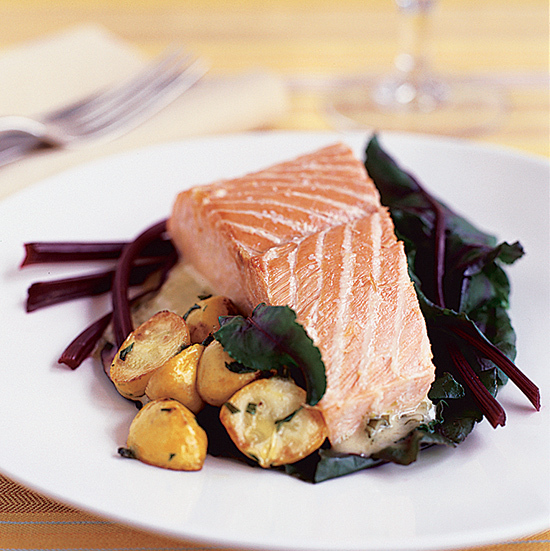 This recipe calls for a salmon roast--a large chunk cut from the widest end of the fish (right behind the head). You will need to special-order it from your fishmonger. 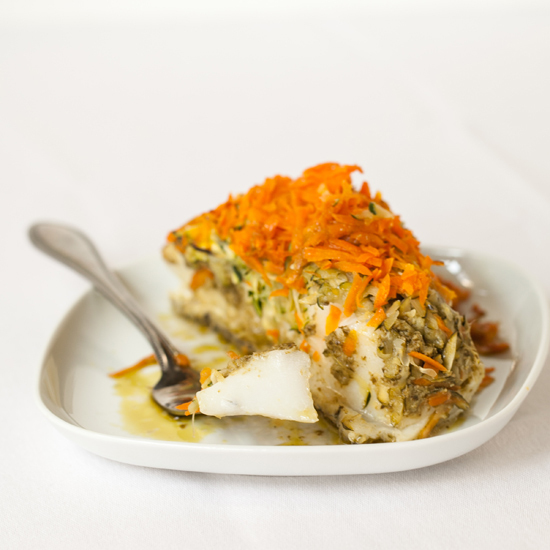 This very flavorful part of the fish comes with skin and bones, which keep the salmon moist as it bakes inside its protective crust of salt mixed with egg white. When you pack the salmon in the salt, be sure to note where the thickest part of the fish is, so you will know where to insert the thermometer through the salt crust to test for doneness. 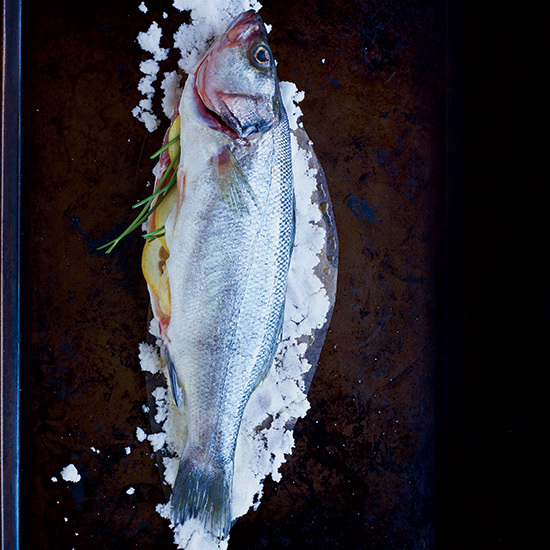 Thomas Keller cooks whole fish in a salt crust to keep it moist, then serves it with a chunky zucchini-basil pistou–Provence's version of pesto–and lemony cherry tomatoes.